Visiting the new TCDC in Bangkok! 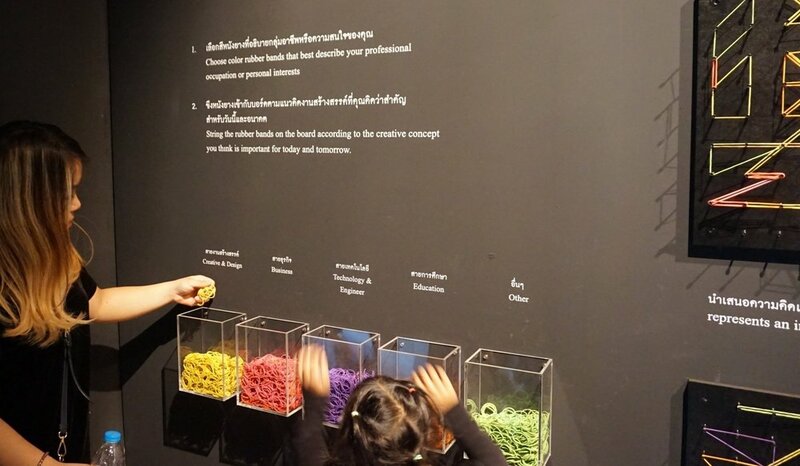 E&P have a chance to visits newly re-open TCDC (Thailand Creative & Design Center) in the Grand Postal Office building near Charoenkrung in Bangkok and check out what's uppp! What I've been told is that, this new TCDC are twice bigger than the original (already closed) TCDC in Emporium Department store. They have add many function to the building and we are here to find out all about it today. They also have a store where you can buy designed products, and you can actually contact the store if you want to sell something of your own but of course they have to approve first. Once you sort thing out about the membership fee or what we did was we have to show our ID in order to get free access for the whole month of May, 2016. 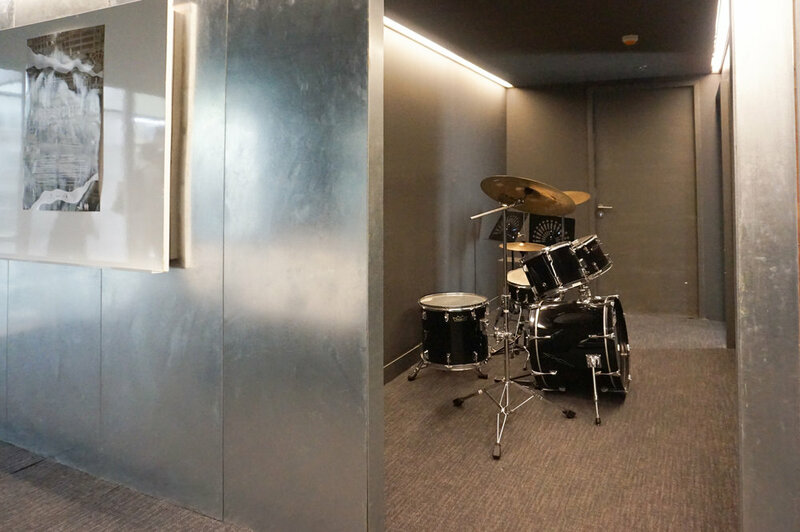 They told us to take the elevator to the 5th floor, start from there and they will have escalator that you can make your way down each floor, which will have Creative community space / co-working space, library, maker space, material resources, and exhibition space. 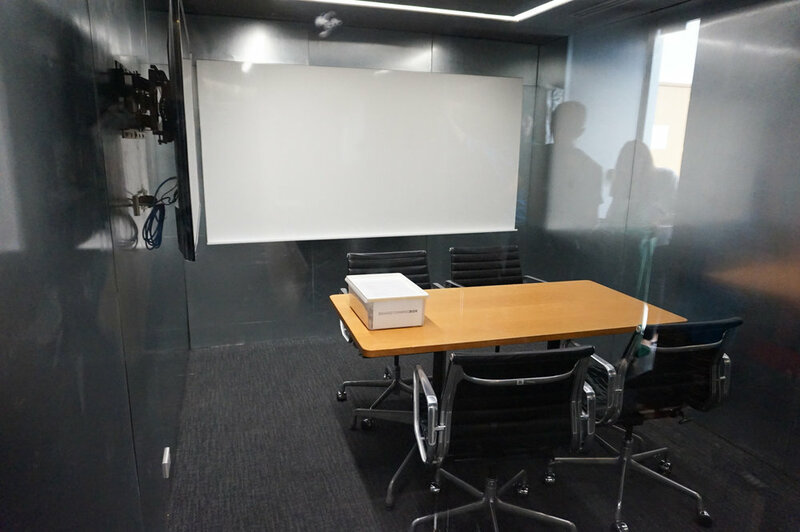 The space are for business talk and co-working space. 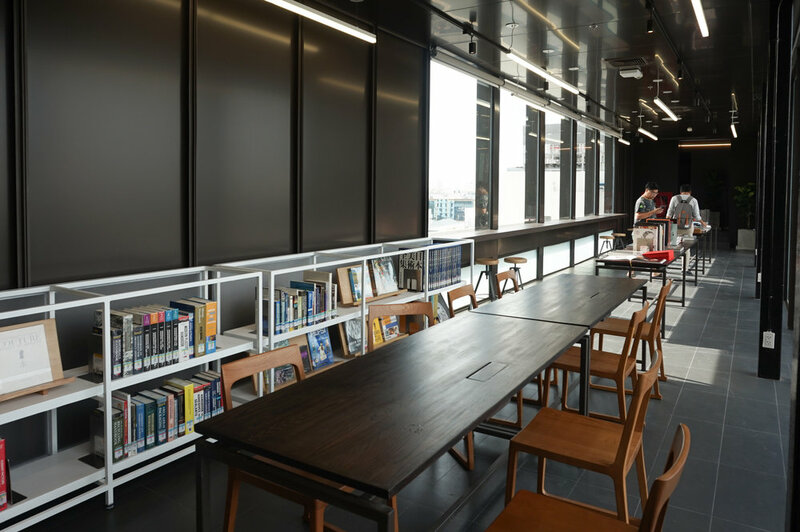 It's airy and spacious, full of books and magazines that you can enjoy. There are in house coffee shop that you can order too. 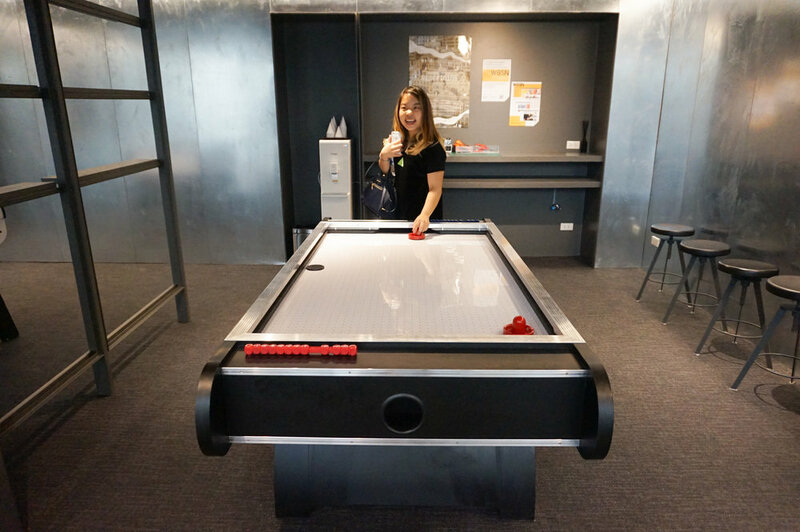 There are also a relaxing space, where you can place air hockey table, soccer table, or a drum set.. (?) also some stationary provided. Let's moved on to the 4th floor where the library is! There are many section of books to choose from all over the space but this 4th floor contain most of the books. Divided by categories from design, fashion design, industrial design, history, business, pattern design, and many ,more, You can literally spend days in here and still cannot go through all the books they have here. They have many sitting area by the windows, but the corners, and they also provide an outlets for each seat and free wifi. We test the wifi connection by video call each other and it's acceptable!. The next room on the 2nd floor is a Material & Design Innovation Center. 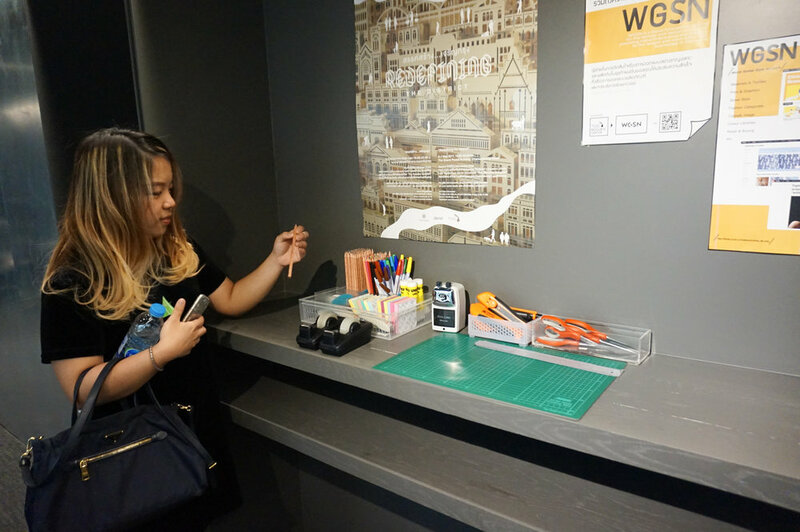 Where you can find a lot of materials from paper, plastic, metals, or micro fiber and they will include the information of the place where you can get each materials in BKK. They provide Trend corner where you can update yourself to the latest trend from a trend books here or go on their website. They also provide design innovation and material consultant service. Moved on to the ground floor, they have Gallery space where they will usually host the workshops, symposium talks, pop-up market, showcase, really depends on their real plan and you can check what's up on their website. Right now they are hosting the exhibition called Co-Create Chareonkrung which about bringing back the heart of the local business back to this old-town area that used to be very rich business hub because of multi-cultures that lives around the area. With help of technology and helping hands they believed that they can make difference. Feel free to reach out to the team with any questions!